All the REALTOR® needs is the email address of their client. 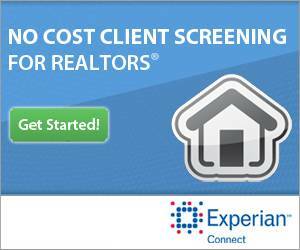 REALTOR® clicks on the Experian Connect ad above. REALTOR® registers & enters client email. Client opens Connect link embedded in email. Client immediately then sees their credit report and score. Then client clicks ‘share credit report … they enter the email address of the Realtor. The credit report shows any bankruptcies, past addresses, employment information, credit score, and account payments. Credit report does “not” show date of birth, SSN, and account 16-digit numbers.